ST. GEORGE — It was a busy weekend for Washington County Search and Rescue volunteers, who responded to four calls Saturday and Sunday, including multiple seizures and injuries. “I don’t know if it was seizure weekend or what,” said Washington County Sheriff’s Search and Rescue liaison Sgt. Darrell Cashin. 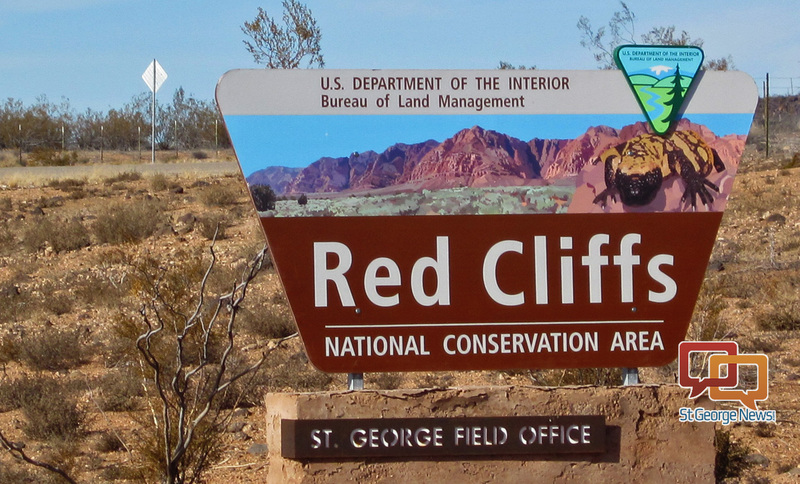 The first call over the weekend came Saturday at about 10 a.m. at the Red Cliffs National Conservation Area. 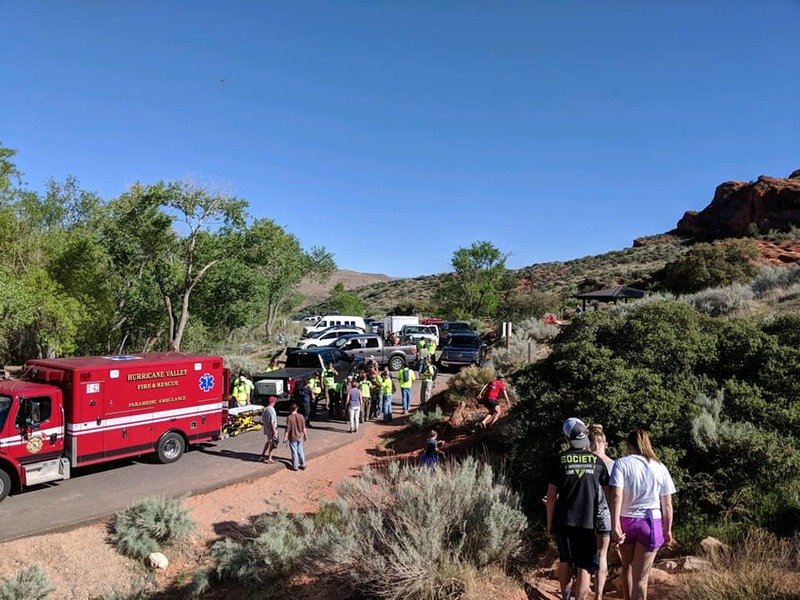 A 300-pound man had attempted to jump into a pool of water about 1 mile into the canyon on the Red Cliffs trail, Cashin said. As emergency responders were stabilizing the man, another woman in her 60s on the same hiking trail began experiencing seizures at about 1 p.m., Cashin said. 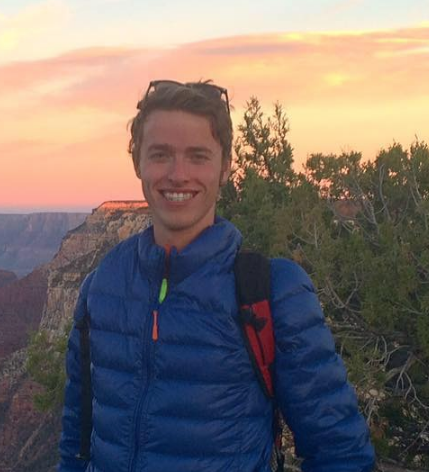 He added that he had already called for backup to help carry the first person out of the canyon, so there were enough emergency responders to assist the woman as well. “Half of them started working with her, while the first half carried the 300-pound man out,” Cashin said. The man transported himself to the hospital, while the woman continued to experience constant seizures. The cause of the seizures were not known, Cashin said. “She’d have (seizures), then she’d come out of it for a minute, then she’d have another seizure,” Cashin said. The woman was transported to the hospital by a Hurricane Valley Fire and Rescue ambulance. “It was like a double rescue in one,” Cashin said. The condition of the woman or the extent of the man’s injuries are not known at the time of this report, Cashin said. Officials do not recommend jumping into pools of water like the one in the Red Cliffs canyon where you can’t see the bottom, Cashin said. Search and Rescue responded to a mountain biker who crashed near the Little Creek trailhead south of Hurricane and Apple Valley. A mountain biker in her 60s had crashed and had a “deformity to her arm” when emergency responders arrived at the scene, Cashin said. Officers from Hurricane Valley Fire and Hildale Fire Department also responded to the injured mountain biker. Responders were able to transport the woman on an ATV. An ambulance from Hildale then took the woman to the hospital. “In the middle of all that, I received a call of another search and rescue,” Cashin said. Some people were stuck in a vehicle along Navajo Road near the Utah-Arizona border when one of the passengers in the vehicle – a man in his 20s – began experiencing seizures, Cashin said. Since there was already a search and rescue team assisting the injured mountain biker, Cashin send a different team with Washington County Sheriff’s deputies and an officer from the Bureau of Land Management to the scene of the stuck vehicle on the border. Responders were unable to get the vehicle unstuck, but they transported the man who experienced seizures to meet with some friends, where he declined to be transported to the hospital. “It was a busy weekend, and with 36 or 37 rescues so far this year, it’s been a little much,” Cashin said. Paying is reasonable. If I ever got into trouble and people needed to rescue me, I would gladly pay to have my life saved. That said, don’t be a jerk about it. If you read the article, half of these people were NOT “thrill seekers”, they were simply out enjoying the outdoors. Hiking, biking, driving. If you ever have a seizure, whether you are in the wilderness or shopping at Walmart, do you think you deserve to be publicly humiliated as you suggest for others? Have some compassion.